I used to think that dealing with my oily skin meant using harsh, drying products that left my skin feeling incredibly uncomfortable. I tried so many lotions and potions that it became red, irritated and sometimes even worse than before. 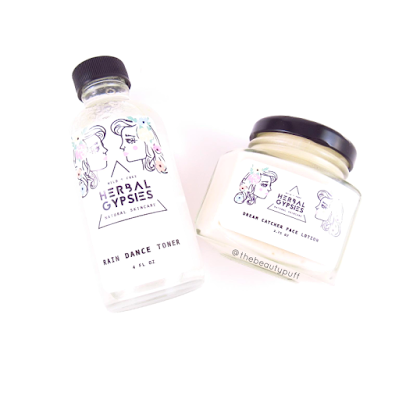 Herbal Gypsies' products are designed to nourish and cleanse the skin with a "less is more" philosophy. Their products are free of dyes, harsh chemicals, synthetic fragrances, and preservatives. They make what goes on your skin, as good as what goes in your body - natural, pure and simple. This cleanser features a short list of ingredients that each have extraordinary benefits for your skin. How to: To use this as a cleanser, simply mix 1/2 a tablespoon of product with 1/2 a teaspoon of water and massage onto face. You can also use as a mask with water, or other medium, and leave on skin for about 10 minutes. For easy mixing, and to prevent wasting product, I used a small bowl to mix the cleanser with water and applied with my fingers to cleanse. The consistency took a bit of getting used to, as the formula "balls up" in a way as you massage it into the skin. It made my skin feel incredibly clean and fresh without being harsh or causing any redness. It felt like a little sponge had absorbed the dirt and impurities from my face. For days when my skin needs more attention, I love that I can use this product as a mask to let it work its magic for a bit longer. As it dries it feels very cooling and fresh on the skin. I really love this one! This toner has been a fresh, soothing finish to my cleansing routine. This product also features some fabulous natural ingredients! How to: Shake well and apply using a cotton ball or cotton round. Unlike some toners that contain alcohol, this toner removes any excess residue on my face while nourishing and hydrating. The formula is refreshing on the skin without causing irritation or stripping skin of all its moisture. It's also gentle enough to use both morning and nighttime. My skin feels clean, smooth and quenched after use. I also really like the calming scent of this toner. I've really enjoyed using it as part of my skincare routine! For a finishing, soothing touch, this lotion has you covered with some much needed hydration. I love that this lotion not only provides intense moisture for the skin, but so many other benefits to help fight and prevent blemishes as well. It is recommended, if you have oily skin, to use the face lotion at night. It is incredibly rich and doesn't absorb right away so it's perfect when used as part of your nighttime routine. Just let it work its magic while you get your beauty sleep! The product itself is solid until it melts with the warmth of your fingers and easily glides over the skin. It's like a gentle massage to wind down at the end of the day - very comforting. I love the scent of it too. It's fresh without being over-powering. Another plus for nighttime! These products are a dream come true if you have oily/acne prone skin. Every ingredient serves a purpose to help keep skin healthy and clear. There are no harsh irritants to worry about and skin gets some much-needed moisture to balance out oil production. 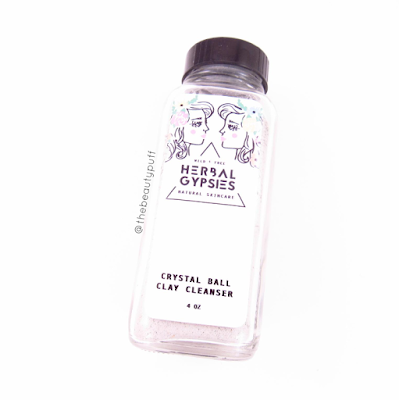 Be sure to follow @herbalgypsies on Instagram!